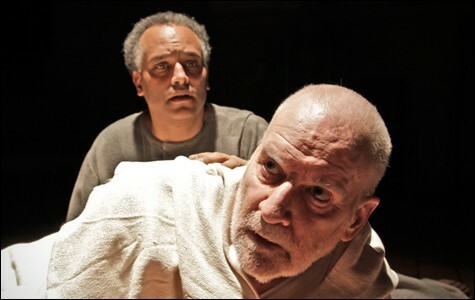 Central Works' acclaimed adaptation of Dostoyevsky's The Grand Inquisitor conjoins heavy philosophy and the pleasures of live theater. 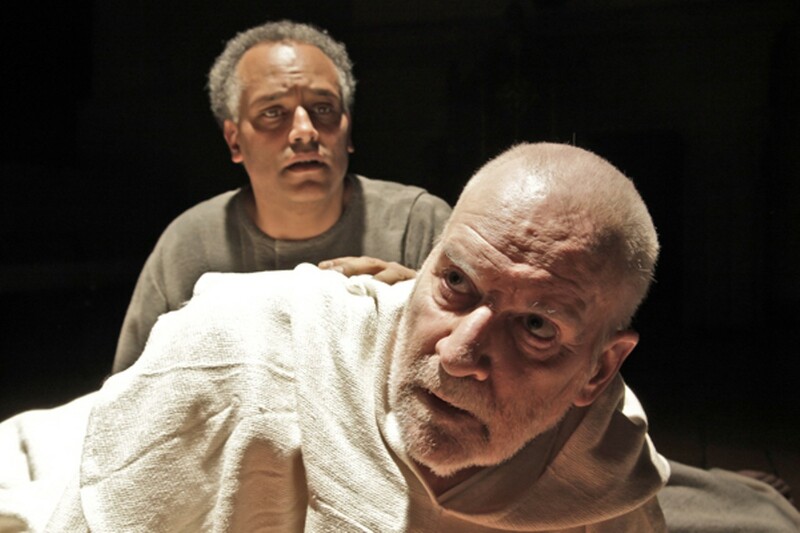 The Grand Inquisitor is a reminder of the potency of stripped-down theater. The Grand Inquisitor, Gary Graves' adaptation of the so-titled parable within Dostoyevsky's The Brothers Karamazov, first premiered at Central Works in 2005 to a sell-out run, making it by any measure one of the most successful productions to come out of the theater company's distinctive collaborative development process of intensive group research, collective brainstorming, and dramaturgical analysis by the playwright along with several fellow artists. Rather than being watered down by such collaboration, the result here is arrestingly potent — a product not of unnecessary agglomeration but of strict method and restraint. Dostoyevsky's story concerns Jesus returning to earth during the Spanish inquisition and the church's response. While only a sub-story within the massive Brothers Karamazov, it is still lengthy and consists mostly of a dense monologue by The Grand Inquisitor, explaining to Jesus how the church no longer has any need for him, as mankind has proven itself incapable of handling the freedom to choose that he bequeathed them, and craves authority instead. Graves' adaptation, a 75-minute, 2-actor play, delays the Inquisitor's speech until its final segment, positioning it as the imminent conclusion of a series of encounters between the Inquisitor (Julian López-Morillas) and "Others" (all played by Michael Gene Sullivan). These include an inferior official within the Inquisition, a supposedly blind beggar woman who claims to have regained sight after meeting the returned savior, and a brutish torturer whom the Inquisitor regularly turns to for his own carnal punishment. Beyond sparing the audience from excessive monologue, this structure, under the direction of Jan Zvaifler, offers a variety of theatrical pleasures. The most obvious of these is watching Mr. Sullivan convincingly metamorphose through different sexes, psychologies, and sensibilities, not to mention great medieval costumes. On a textual level, the structure transforms The Grand Inquisitor from a hanger for Russian philosophizing into rich psychological theater. It would be fair to interpret the "others" in this play (they are billed as such) as projections of the Inquisitor's own, tortured mind. Through their interactions, the seemingly hateful Inquisitor exposes deeper layers of fear, self-hatred and, perhaps, compassion. There is also an interesting sexual result in having various male and female characters share the stage, as the Inquisitor and his "others" enact various forms of contact ranging from a sustained gaze to plain sadomasochism, culminating in a tender kiss planted by Jesus upon the hateful Inquisitor's lips. Central Works' The Grand Inquisitor is a reminder of the potency of relatively stripped-down theater: just two strong actors — the bare minimum required by the script — contending with one another in a small space (Central Works' Spanish Colonial-style theater within the Berkeley City Club happens to be perfect for this play) lit as though through stained glass (and, occasionally in indulgent moments, hell fire). In its brief duration, it manages to tackle the crux of Dostoyevsky's moral querying while introducing moments of human interaction that the page alone cannot abide.